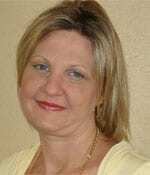 Kristi has worked at Krisher-McKay since 1995. A licensed agent, assistant to Linda and Roxie Krisher, and office manager, Kristi has an incredible ability to relate to people. She always surpasses her client’s needs. When not talking real estate Kristi is talking sports. She knows her players!